On Friday, FBI Director James Comey informed Congress that due to recent developments discovered while investigating an unrelated matter, the FBI has found information deemed pertinent to Hillary Clinton’s email investigation and have decided to reopen the case. FBI Director Comey testifying about Hillary Clinton’s email server. “In previous congressional testimony, I referred to the fact that the Federal Bureau of Investigation (FBI) had completed its investigation of former Secretary Clinton’s personal email server. 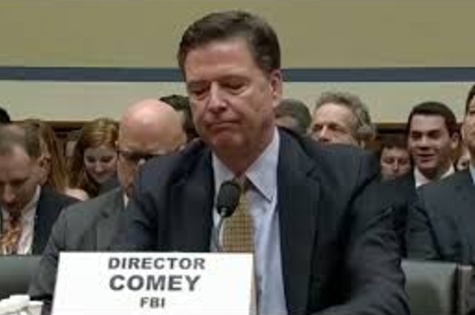 Due to recent developments, I am writing to supplement my previous testimony,” FBI Director Comey wrote to Congress. “In connection with an unrelated case, the FBI has learned of the existence of emails that appear to be pertinent to the investigation. 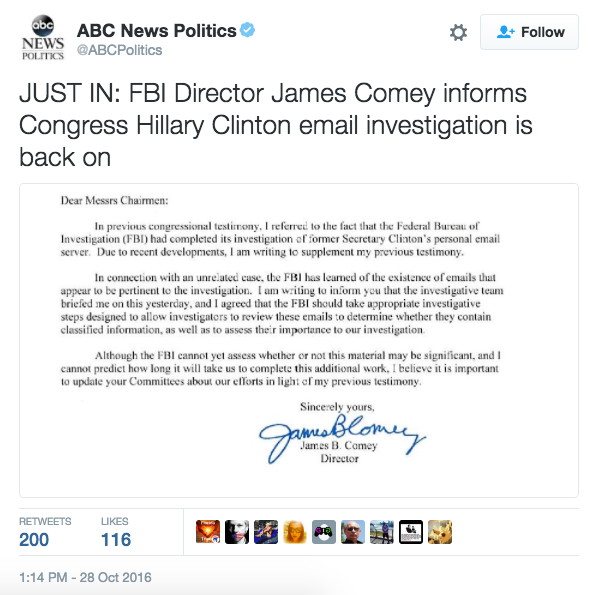 I am writing to inform you that the investigative team briefed me on this yesterday, and I agreed that the FBI should take appropriate investigative steps designed to allow investigators to review these emails to determine whether they contain classified information, as well as to assess their importance to our investigation,” Comey added. “Although the FBI cannot yet assess whether or not this material may be significant, and I cannot predict how long it will take us to complete this additional work, I believe it is important to update your Committees about our efforts in light of my previous testimony,” he concluded. The news comes just under two weeks before the Presidential election.